A cannabis store operating outside the Saskatchewan government's regulatory framework is now open in a First Nation community 70 kilometres northeast of Regina after the band passed its own cannabis legislation. Justice Minister Don Morgan said Tuesday the province wants the store to shut down. Morgan said the federal government gave each province the responsibility of setting up and enforcing regulations for cannabis retailers, which includes First Nations reserves. "It would be our position that somebody setting one up without a provincial licence would not be legal, would not be authorized," Morgan told reporters after Tuesday's question period at the legislature. "I would urge them to stop going ahead with it." Morgan said more permits will likely become available "over the next coming months." He said anyone wanting to open a shop, including the Muscowpetung First Nation, should apply for a licence rather than hurt their reputation by opening a store illegally. Morgan said he will let the Saskatchewan Liquor and Gaming Authority (SLGA) decide how it wants to move forward to address the shop. "I don't want this to become an enforcement issue. We're looking for this to be a compliance and licensing issue moving forward," he said. The Muscowpetung First Nation issued a news release after Morgan spoke to reporters, saying "In the interim, we can advise that we are waiting to hear from Canada concerning our request to sit down, in the spirit of reconciliation, and negotiate First Nation's jurisdiction over cannabis." According to a previous news release issued by the Muscowpetung First Nation, the band passed its own cannabis act on Monday, Nov. 12. A spokesperson for the band confirmed 86 per cent of band members voted in favour of the new legislation. A spokesperson for the First Nation confirmed the Mino-Maskihki Cannabis Dispensary opened Tuesday for band members and medical patients and will open to the general public Wednesday. A November 6 letter from Muscowpetung First Nation chief Anthony Cappo asking band members to vote in favour of the legislation states the band turned to the numbered treaty documents to find a way to bring about their own legislation. "Within the numbered treaties and inclusive of the treaty right to health (medicine chest), the elected leadership understand that as a sovereign treaty nation, Muscowpetung has the authority to regulate the use and sale of Cannabis/Hemp within our Nation," Cappo's letter read. Cappo said leadership within the First Nation have consulted with elders in their community and a legal team to "ensure this initiative has the strongest legal arguments" possible. Cappo's letter states the legislation is looking to address accessibility, affordability and responsible or safe consumption of cannabis and hemp both recreationally and medicinally. 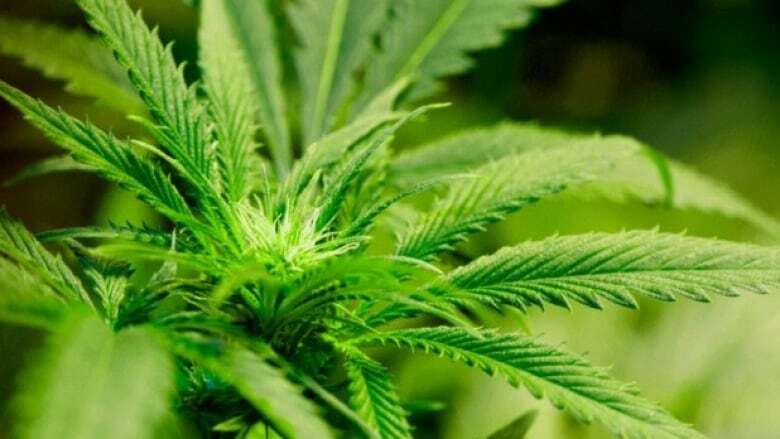 The First Nation will be looking to cannabis to "promote overall community health benefits," by using the most current information available to identify its healing properties in terms of harm reduction, mental health, pain and diabetes management and cancer treatments. According to Cappo's letter, the band is looking to address addictions and how childhood trauma plays a role in substance misuse. "Research shows that addictions have been linked to childhood trauma," Cappo wrote. "Our people's history and the legacy of government imposed residential schools is filled with traumas and their effects." He said cannabis can be used as a medicine to heal the long-lasting traumas the community has experienced in terms of addictions — which could be related to the residential school era — while benefiting the community in an economic development sense. As a revenue source, cannabis could benefit the community through employment opportunities and by injecting money to underfunded programs like mental health and youth and elder programming, the letter said.